This is a handy product! 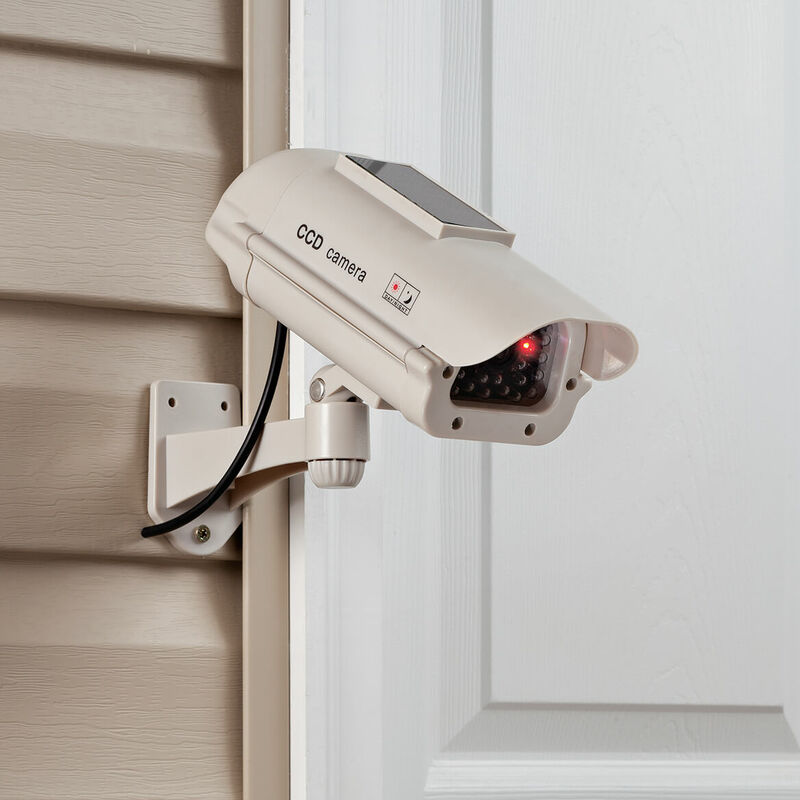 This is a great thing to have if you want a touch of -THEY HAVE A CAMERA POINTED AT US- moment to deter potential break-Ins. I have a vacation home that is often left empty for extended periods of time. So these cameras will give the appearance that it is being monitored at all times. We have one, but it is old, and flops around. It looks like a real camera. It should deter people from breaking in. I have some expensive statues & water features, Hopefully camera would scare off intruders.